Seriously? 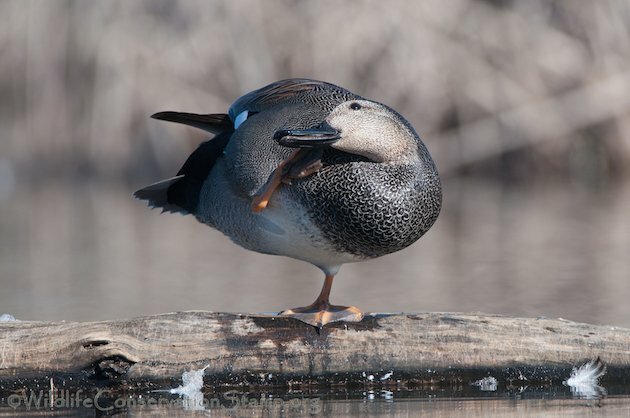 Just look at this drake. Pretty dapper wouldn’t you say? 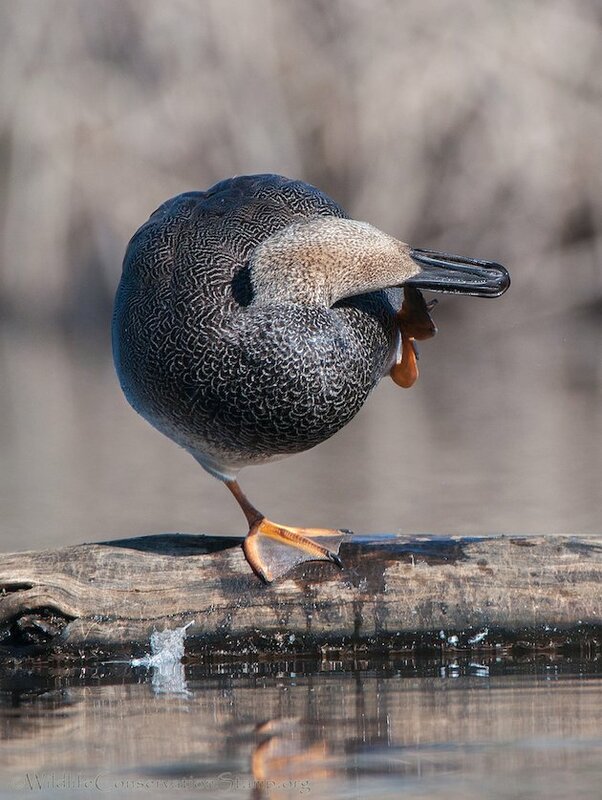 Pete Dunne calls the Gadwall (Anas strepera) the “Dapper Gray Dabbler.” Click on photos for full sized images. 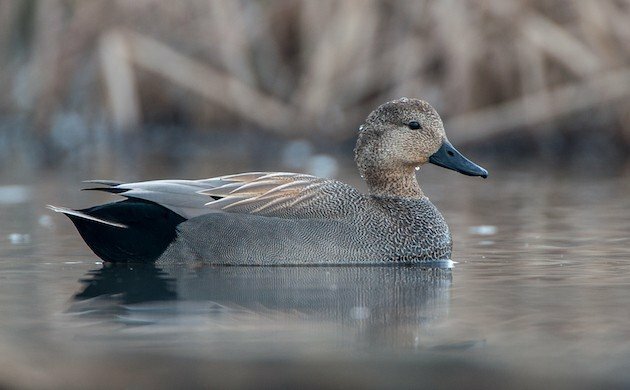 The fact that they are monogamous and pair up by November, 4 to 5 months before breeding, probably endears them to some. 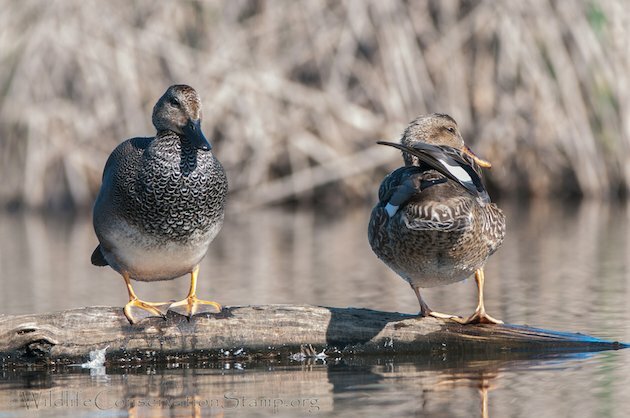 I found this pair among the Northern Shovelers at Delevan National Wildlife Refuge and watched as they perched atop a log for awhile, preening and scratching. 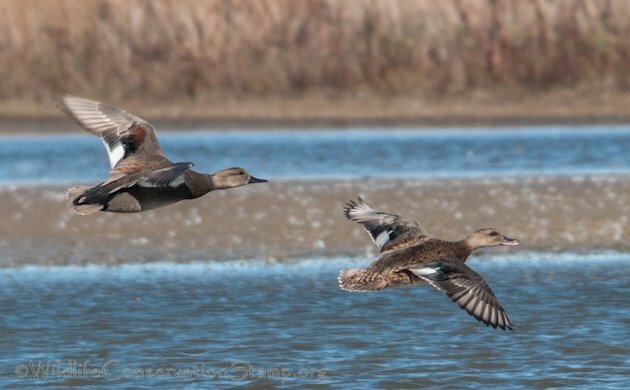 I’m posting this video I shot at Delevan NWR in case you haven’t seen these elegant ducks in action. 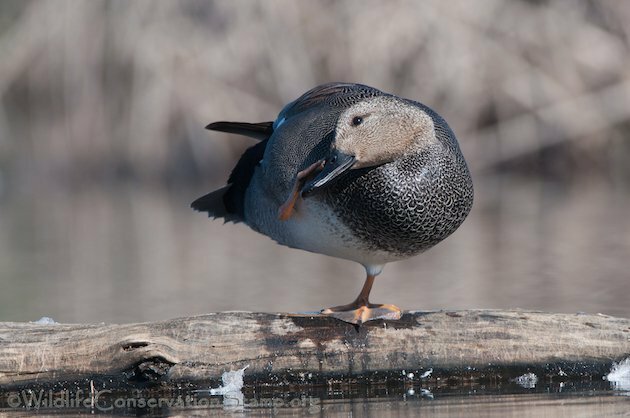 Our National Wildlife Refuges are special places where we can observe wildlife in their natural habitats. 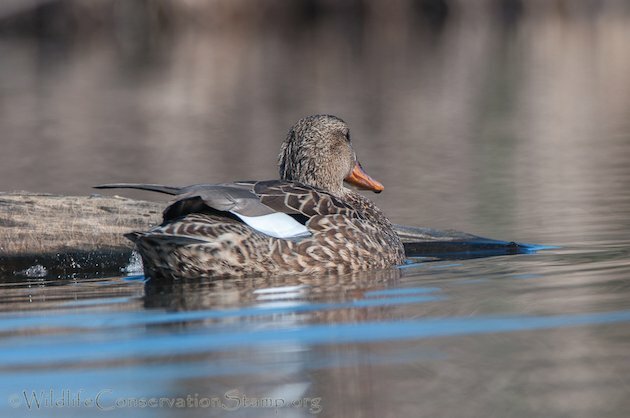 If you, like millions of other wildlife enthusiasts, enjoy visiting our National Wildlife Refuge System to observe and photograph the hundreds of species that rest and live on our refuges, please join us in supporting the Wildlife Conservation Stamp Project. 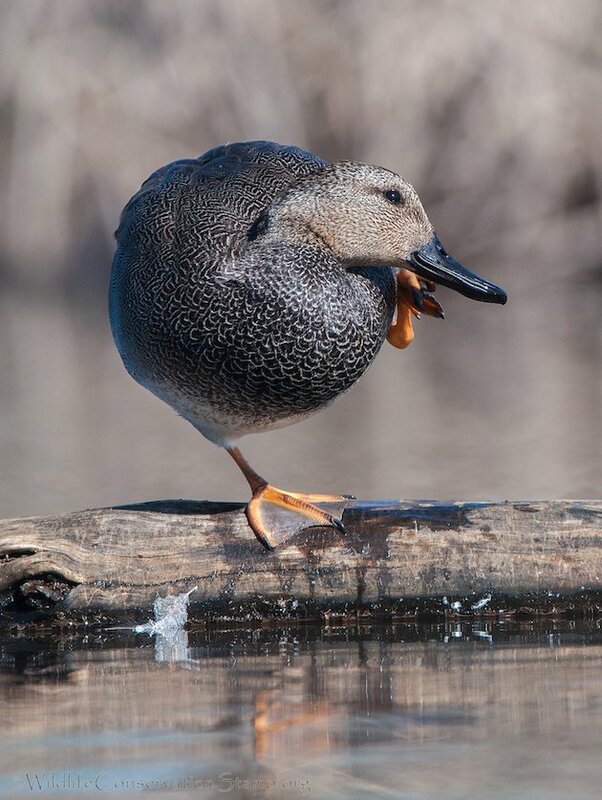 Beautiful pictures of that dapper duck. I’m hoping that one will eventually make it to Costa Rica. Thanks Pat! And my first destination when I retire in 2017 will be Costa Rica! 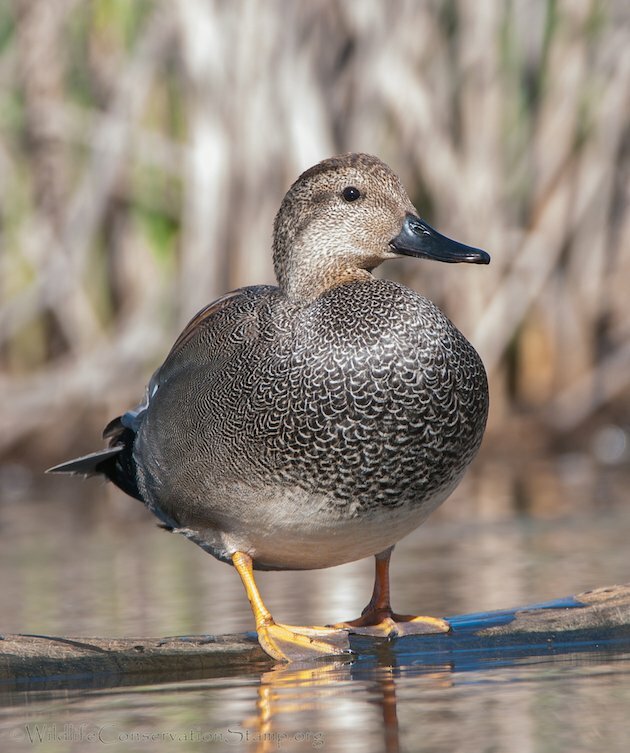 Thanks for the post — it will help as I ID a few Gadwalls among some 8 other species of ducks from a visit to Lago de Cuitzeo, Mexico, this week. Yes, they truly are elegant! 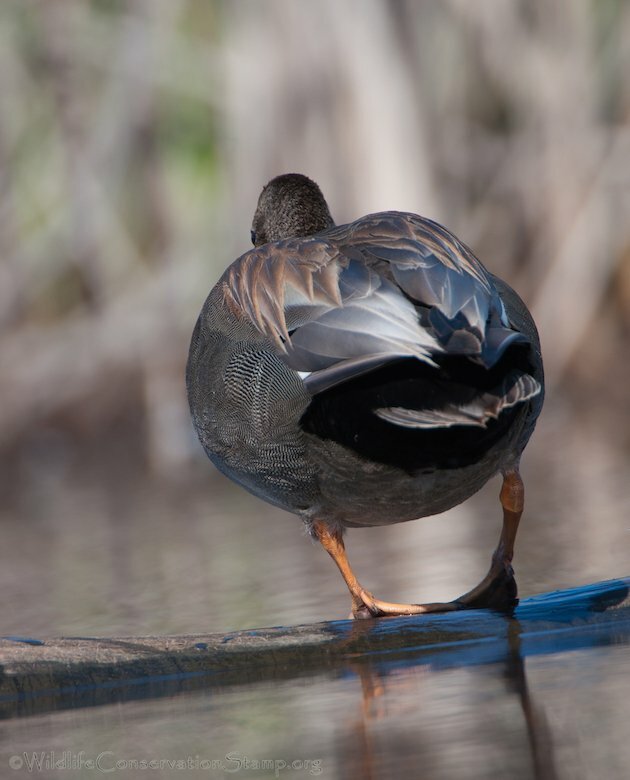 I occasionally see them here on the Olympic Peninsula and always take time to admire their gorgeous feathers. Thanks for a lovely post!